The Monsoon express just arrived at pune, and it is raining daily since last one week, a bit or more. 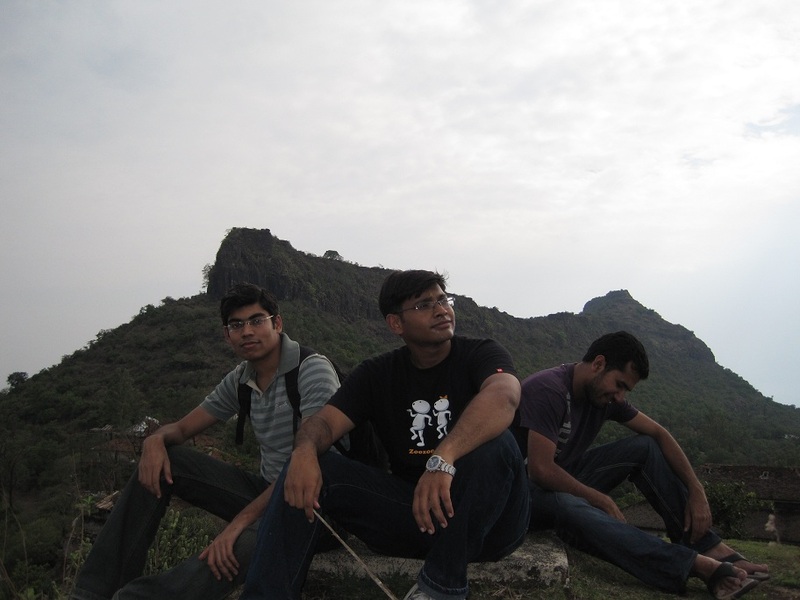 This was an arbitrary first trip after monsoon of this year. We started late approx 11 am. It was cloudy and expected to shover. 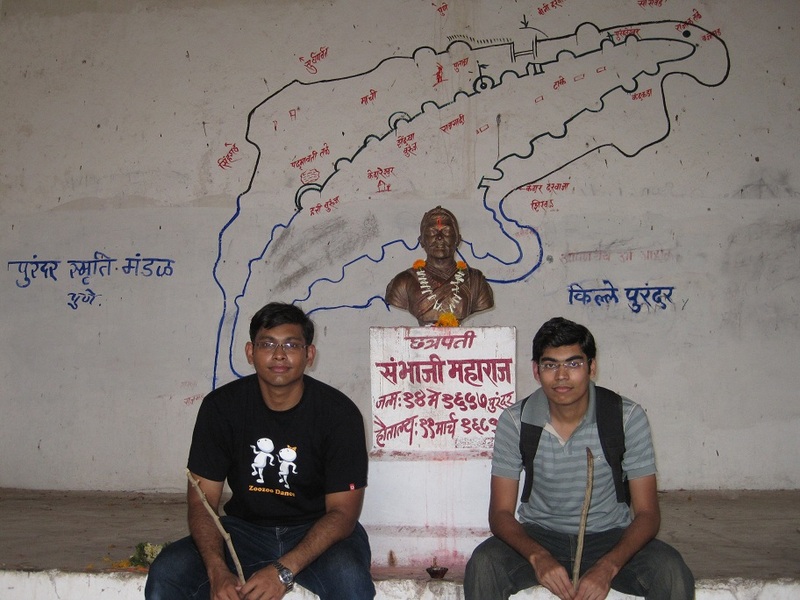 We approached towards Purandar fort by our bikes, feeding food to our bikes. We had our brunch at Prashanna Dhaba (Happy restaurant). Saasvad is the first checkpoint, where we have to turn to a classical Indian muddy roads, where the bike's tire have to undergo the stress testing. On our way, the road was blocked due to a giant tree falling down the roads spreading its wings. But it was surprised to see that Indian police, traffic system, and crane were quick enough to reach timely at somewhat remote area. In the meantime, We got the green signal from policeman to cross this crowded place. But our fellow Tara bhai couldn't catch that signal, and remain deadlocked till the time tree has not moved to road-side. 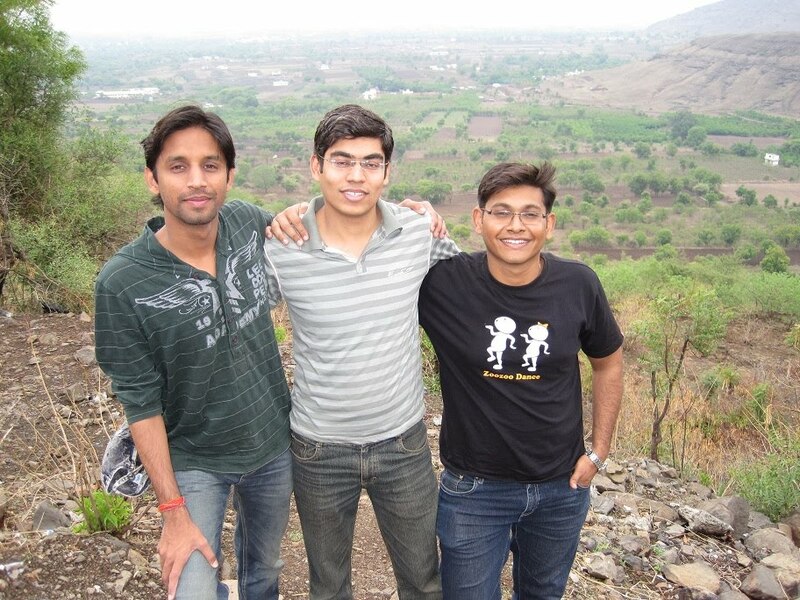 As we (Anish & me) were already the other side of Tara-Pardeep. So my eagle eyes :) catch a beautiful temple and informed Tara - Pardeep to take next right turn just after this incident spot. 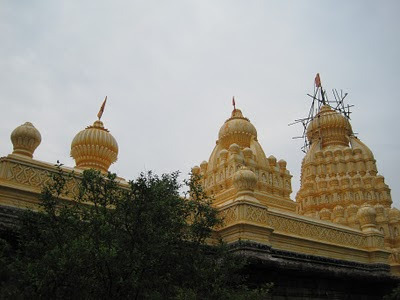 It was Changavteshwar Temple, (around 1-1.5 KM away from Saadwad, turn towards Purandar Fort). It is very old temple, contains very old history, being re-incarnated now. 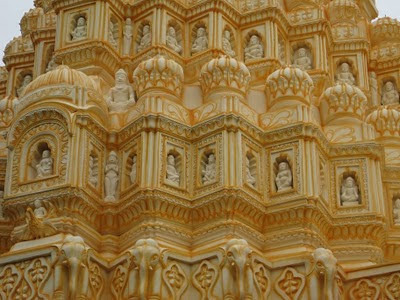 The temple have unique encarvings, designs and patterns. Some example of light decaration lamps are adorable. After that we proceeded towards our final destination - Purandar Fort, 4,472 ft. above the sea, approx 35 KM away from Pune. 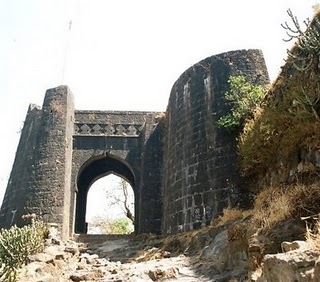 There is a junction point, where one road address towards Balaji Temple and the another to the Purandar fort through spiral curvy roads. 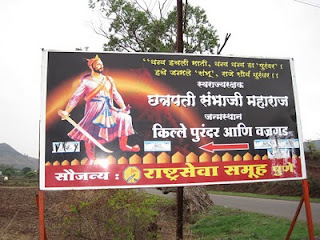 Pune-Narayanpur bus is also available to reach up to the base village, Narayanpur. This area is under army hold and at the gate, The timings shown as 7 a.m. - 5 p.m. As soon as as you come more in, you will easily get to know, where is the parking spot. We explore some of the parts of this fort, mostly ruined. Inside one big hall, You can see the map of Purander Fort - Purander Smiriti Mandal. 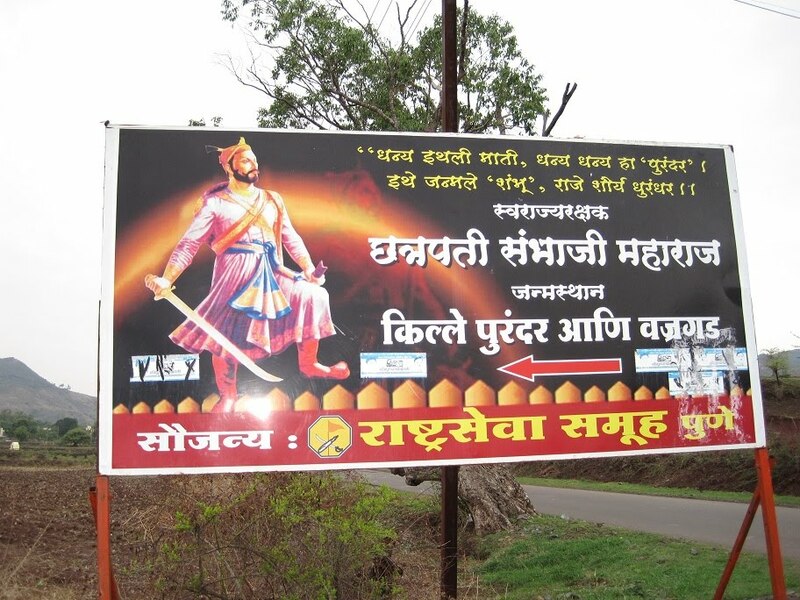 This place is the birthplace of Chatrapati Sambhaji Maharaj (Shivaji's eldest son). The fort has two levels, lower level being machi, and the higher level known as Ballekilla. The surrounding of the place is really tranquil and serene and would like to be more greener, when monsoon express will boost-up in the month of July-Aug-Sep. We tried to capture high jump snaps, and managed to get some after some retakes. You can also enjoy some snacks and the drinks at the local shop.